Anucha Browne is Chief Engagement, Advocacy and Global Programs Officer at UNICEF USA. Anucha Browne is Chief Strategy and Engagement Officer for UNICEF USA. She joined the organization in November 2017 and is responsible for overseeing the implementation and integration of the organization’s current and future strategic plans, and developing and implementing a comprehensive engagement strategy to involve the American public in UNICEF’s lifesaving work for children around the world. Previously, she was the NCAA’s vice president of women’s basketball championships beginning in August 2012, where she set the strategic direction for, and oversaw the operation and management of, the Division I, II and III women’s basketball championships. She served as regional, national, and international spokesperson for NCAA women’s basketball and was the primary liaison to the women’s basketball committees and the 1200 public and private colleges and universities on all matters related to the sport. Browne provided strategic oversight of the site-selection process for each championship and was the primary liaison to the NCAA’s broadcast partner ESPN. Her work in this role raised the profile of the sport in the national and international media. She also spearheaded a strategic initiative to ensure the ongoing collaboration across all levels of the sport (FIBA, USAB, WNBA, NCAA, and AAU). Before joining the NCAA, Browne was named the senior associate athletic director for marketing at the University at Buffalo in 2007 where she was responsible for marketing the revenue sports while overseeing ticket operations, promotions and corporate sales efforts. Her work was instrumental in reinvigorating the UB athletics brand in the Western NY market and producing higher ticket, suite and sponsor revenues, as well as spearheading a new community service initiative that increased community outreach for all Buffalo student-athletes while leveraging the university’s advanced research in the area of childhood obesity. Browne also served as the senior women’s administrator focusing on the gender equity issues within the athletic department and was responsible for annually reporting to the U.S. Department of Education. In addition to her work in college athletics, Browne was hired in 2000 by Madison Square Garden where she served as the New York Knicks’ senior vice president of marketing and business operations, responsible for all franchise brand marketing initiatives and revenue generation ($180 million 2005). In this role, Browne became one of the highest-ranking female executives in professional sports. Before the Knicks, Browne spent 11 years at IBM in various marketing and sales roles – most notably, leveraging IBM’s technology investments in the NBA, tennis Grand Slams, the PGA and the 1996, 1998 and 2000 Olympic Games. Browne also led a technology giving project at the Hermitage Museum in St. Petersburg, Russia that enabled the museum to utilize IBM proprietary watermark technology to digitize rare Eastern European art collections (www.hermitagemuseum.org). She got her career start working at Eastman Kodak after graduating from Northwestern University with a BS degree in communications. As a student-athlete at Northwestern, Browne was the Wildcats’ first All-American women’s basketball player and set 24 school records, most of which still stand today. She was a two-time Wade Trophy finalist and a finalist for the Naismith Player of the Year award. Browne was selected to the US National team in 1985 and won a gold medal at the William Jones Cup Games in Taipei, Taiwan. She was named NU’s women’s basketball player of the decade in 1992 as part of the Big Ten Conference’s 10-year anniversary of women’s intercollegiate athletics. She was also inducted into the Northwestern Hall of Fame in 1993. During her senior season, she became the first woman in NCAA history to tally six straight 30-plus-point performances and she lead the nation in scoring (30.5 points per game). She was selected to the Kodak, Street & Smith’s and Women’s Sports Foundation’s All-American teams. She also captured Big Ten Player of the Year honors for the second consecutive year and was the conference’s all-time leading scorer with 2,307 points. In her junior year, she became the first woman and the fourth person in Big Ten history to lead the conference in scoring and rebounding in the same season. Browne also earned a Master’s degree in Communication at Florida State University. She has been recognized nationally for her work in the sports business and advocating for women. She was named to the Sports Business Journal’s “Forty Under 40” in 2003 and was recognized as a woman of power and influence in 2008 by the National Organization of Women. 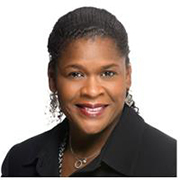 Browne has served on several boards including the Children’s Village, the United States Bobsled and Skeleton Federation and the National Association of Collegiate Women Athletics Administrators. She currently serves on the DeVos Sport Business Management Program’s Board of Advisors, Beyond Sport’s Board of Advisors, the Board of Directors for Advocates for Athletic Equity, as well as the Women’s Basketball Coaches Association Board and the Women’s Basketball Hall of Fame Board of Directors. She has three children and lives in Brooklyn.